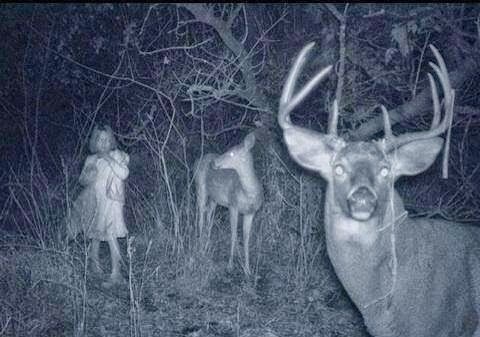 One of the latest trends in 'paranormal photography' is the trail-cam capture photo and if you've been on any type of paranormal-related social media in the last year, you've probably come across this photo of a little girl, barefoot and in a nightgown, wandering through the forest while one deer cautiously glances at her, and another stares directly into the camera. Why don't the deer run off? What is this child even doing out there in the first place? And, why does everything look so darn creepy? Many have tried to say that the answer to those questions is simply that this little girl is a ghost! And hey, why not? 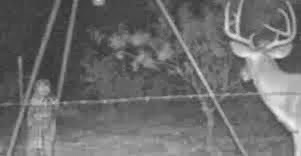 With all the other creepy trail-cam shots featuring 'ghosts,' including the one below of another ghostly little girl, that's a plausible explanation, right? Still the reigning ghost girl champ!